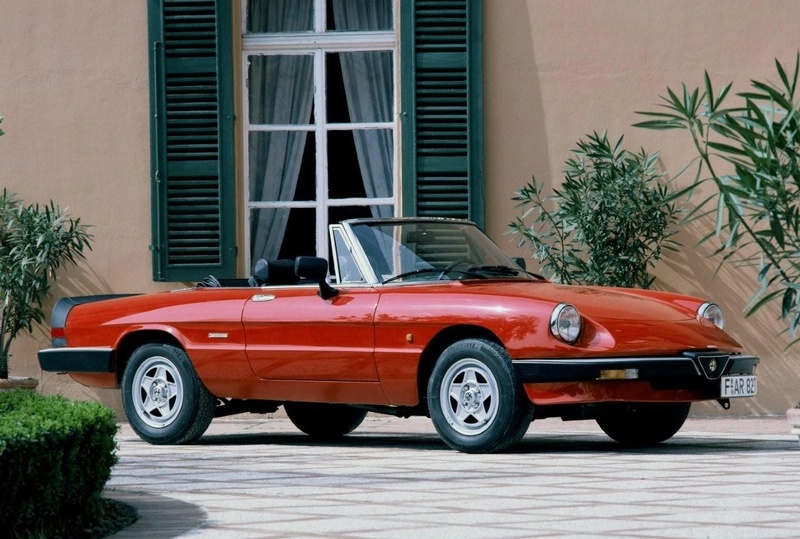 The Alfa Romeo Duetto was in production between the years 1966-1967. Powered by a 109 horsepower dual overhead cam four-cylinder 1570cc engine, the Duetto Spider or roundtail spider or Osso di Seppia is known world wide for its appearance in the movie 'The Graduate' staring Dustin Hoffman, Anne Bancroft and Katherine Ross. Pininfarina, the famous Italian coachbuilder, was also responsible for the Duetto's monocoque, or unibody, construction. The Duetto was given the nickname 'Roundtail' spider due to the sloped shape of the decklid which differentiated it from later models. This car is the same as the Alfa Romeo 1966 Paris Automobile Show car. This automobile was totally restored in the year 2000.